This is a project I did in when I was in first grade class with a visiting art teacher. 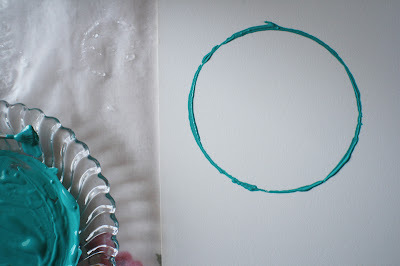 We created our circles with black paint and used crayon to add our color. 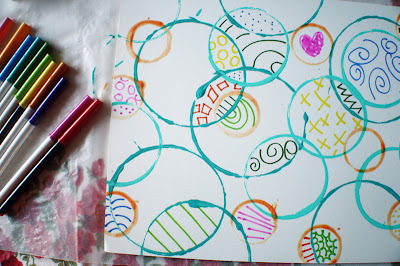 I recently happened upon my happy paper of circles and thought how much fun it would be to revisit it with brighter colors and markers for a more fine line feel to it all. Are you ready? Set up your plates with your paint. 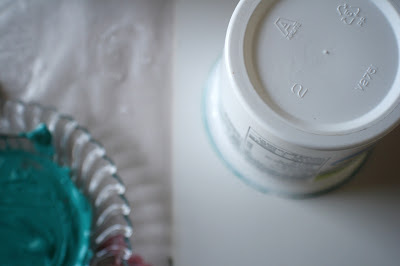 Here we used two shades of blue and two different sized containers. 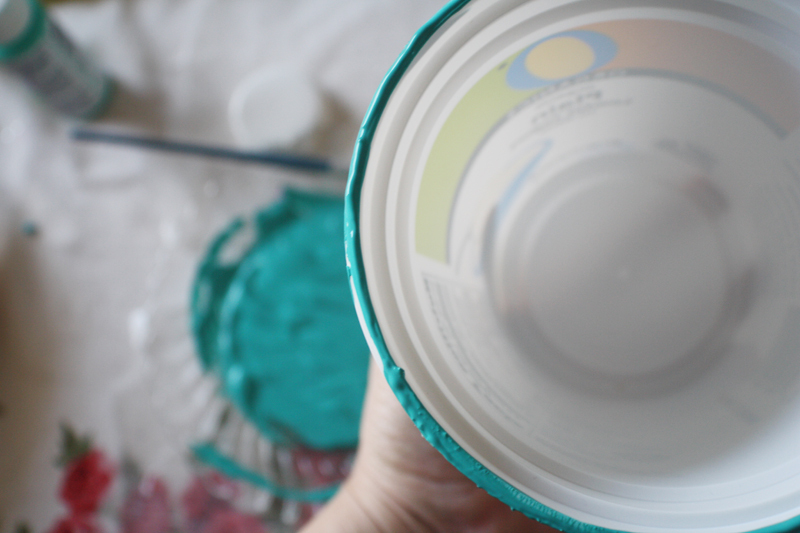 Dip your container into the paint. 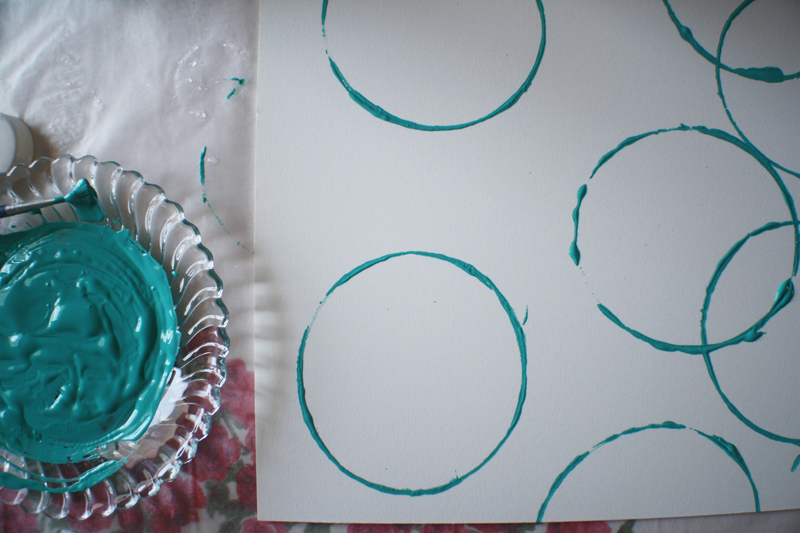 And make a print on your paper. Repeat the printing process until you have covered your paper with a circus of paint-happy circles. 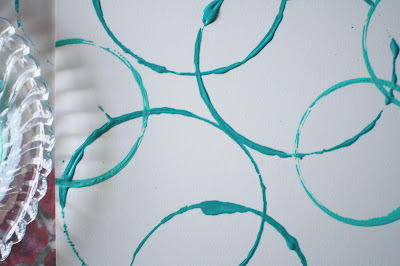 Here is where you can change it up by using only one color, two colors or a trio of happy colors. 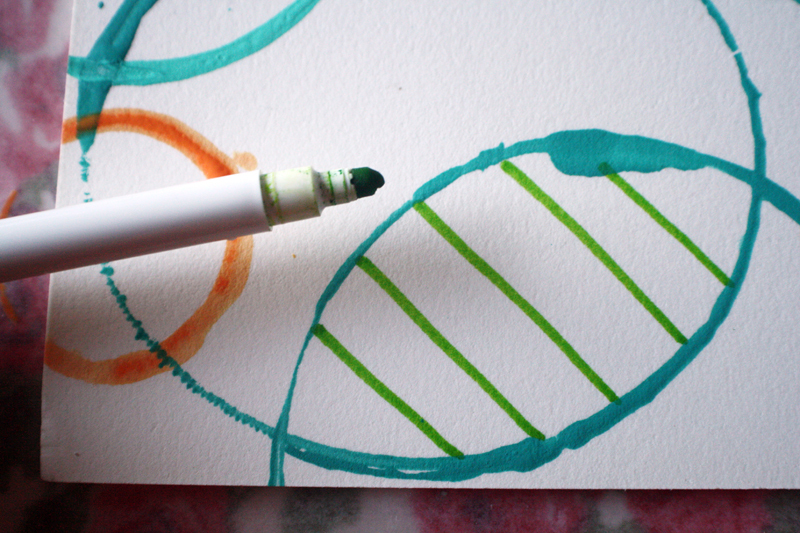 Gather your markers and get to doodling. 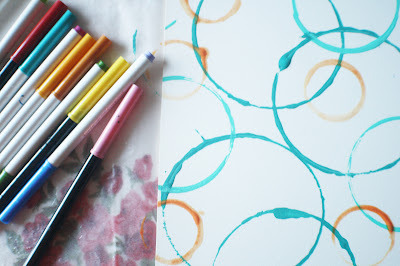 You can have your kiddo stick with dots or stripes or they can jazz up the spaces with squiggles and stars. Use all the colors in the markers pack or use just one or two colors. Your kiddos can make one ENORMOUS piece of art or several all summer long. Try making one in each color of the rainbow. Save the artwork and repurpose it as gift wrap. 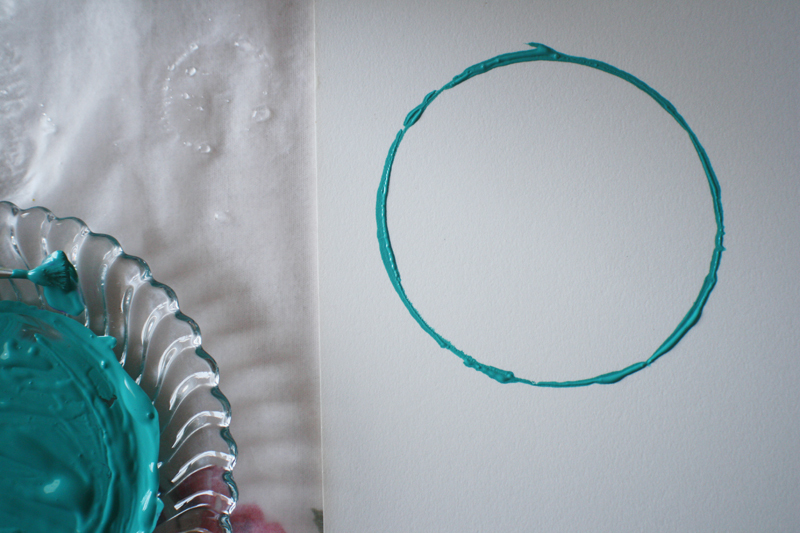 Make a tiny print using a drinking straw for your circles and toothpicks dipped in watercolor for your designs. Happy summer! Awesome. Who knew? I love and can't wait to try this with the kiddos. Thank you for a fabulous idea!!! Hobby Globe is the best social app for hobbyists . Use Hobby Globe app to share your exciting and memorable moments, now available on Google Play & Apple store. Would you like to get beginning with these tools for free or talk to anyone about search engine marketing? toprankingseo.net's marketing tools have everything you need is clear. visit our site and see more monthly and weekly packages for SEO And (SEM) search engine marketing . I sure that every person like this my company tool.